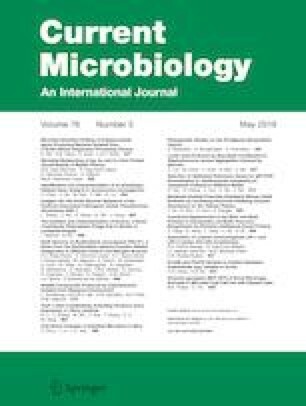 A novel electrogenic bacterial species, Kluyvera georgiana MCC 3673, was isolated by enrichment in microbial fuel cells (MFC) using oilseed cake as a growth substrate. CHNS analyses showed that oilseed cakes are rich in carbon and nitrogen content. Utilization of these compounds by bacteria was evident from 50% reduction in chemical oxygen demand. The maximum power density of 379 ± 8 mW/m2 was produced from sesame seed cake media with mixed consortia inoculum from lake sediment. Enrichment was carried out for over 15 cycles by renewing the media periodically on drop of the voltage. A pure culture of enriched electrogen was isolated by dilution plate technique. Physiological and biochemical studies were performed on the isolate as per standard methods. Genetic analysis by 16S rDNA sequencing revealed that this organism is closely related to Kluyvera georgiana. When inoculated in MFC as pure culture, the maximum power density of 158 ± 11 mW/m2 and 172 ± 13 mW/m2 was produced with sesame and groundnut oilseed cake media, respectively. The performance increased in LB media producing maximum power density of 394 ± 6 mW/m2. This bacterium has also scope for application in wide range of MFC as it can produce electricity even in suspended culture. To our knowledge, this is the first report on bio-electricity generation using oilseed cake as substrate in MFC. The online version of this article ( https://doi.org/10.1007/s00284-019-01673-0) contains supplementary material, which is available to authorized users.